Order the fruit-and-cheese platter every time? You’re not alone. Fresh and local ingredients matter. An extra cracker never hurt anyone. The new menu pairs healthy, local ingredients with West Coast staples such as seasonal fruit, artisan breads and cage-free eggs. It will be available in the main cabin July 16-November 15. After that, you can expect new dishes to choose from – that’s right, we’re rotating menus to keep it fresh. To ensure you get your first choice – even in the back row – we recommend pre-ordering food with the latest version of the Alaska Airlines app. 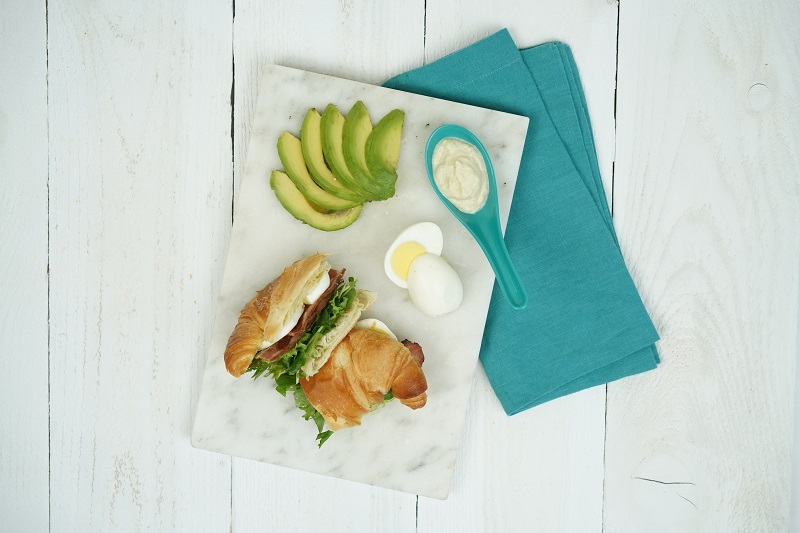 The croissant sandwich includes Applewood-smoked bacon, a cage-free hard-boiled egg, fresh greens and avocado mayo. It will be served between 6 a.m. and 10 a.m. on flights over 3 hours. 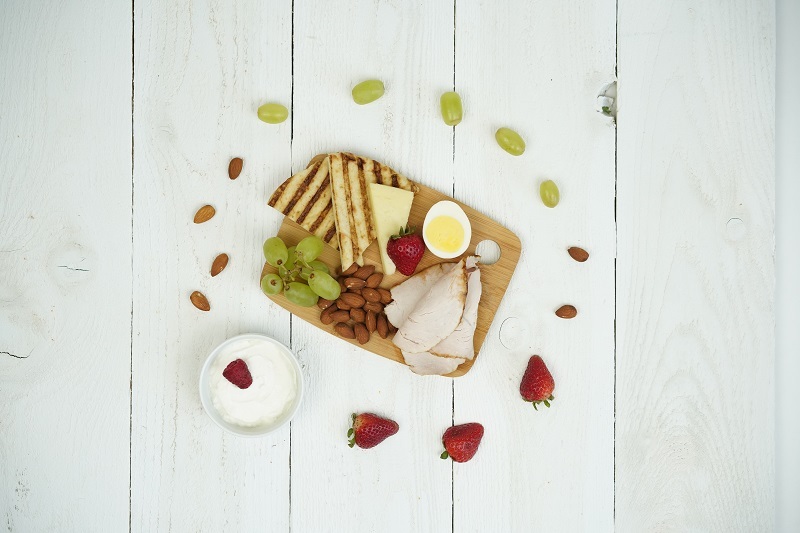 The Fresh Start Protein Platter features Greek yogurt, almonds, seasonal fruit, Beecher’s Flagship Cheese, a cage-free hard-boiled egg, pita bread and non-GMO turkey. It will be served between 6 a.m. and 10 a.m. on flights over 3 hours. 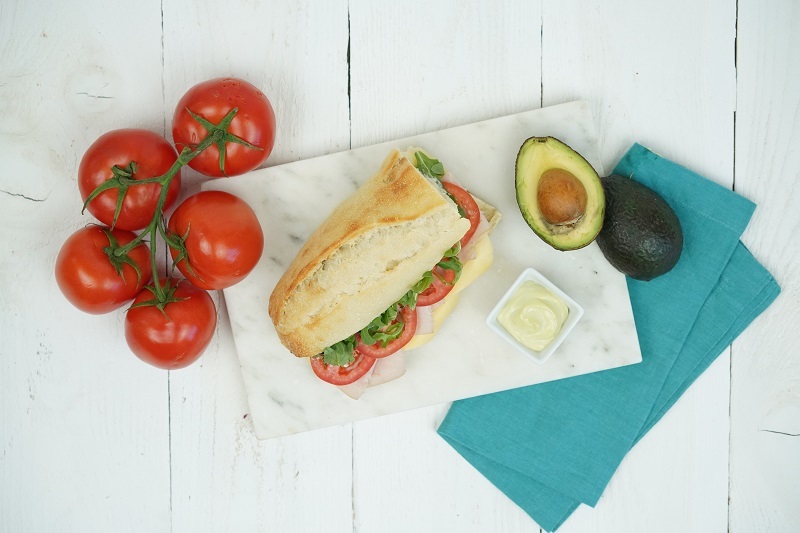 A fresh take on the classic turkey sandwich, this baguette is topped with artichoke spread and avocado mayo. It’s available between 10 a.m. and 8 p.m. on flights over 3 hours. Protein lovers: look no further. 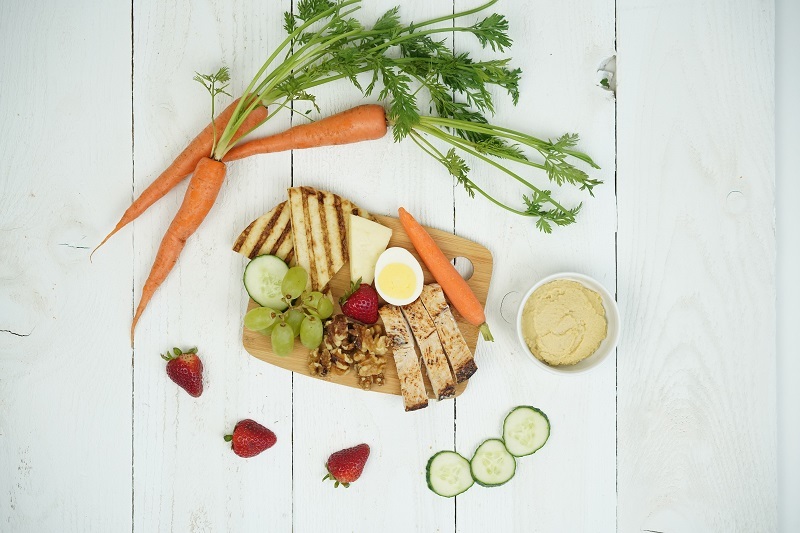 This platter comes with hummus, pita bread, Beecher’s Flagship Cheese, all-natural grilled chicken, walnuts, a cage-free hard-boiled egg and seasonal fruit. It’s available between 10 a.m. and 8 p.m. on flights over 3 hours. 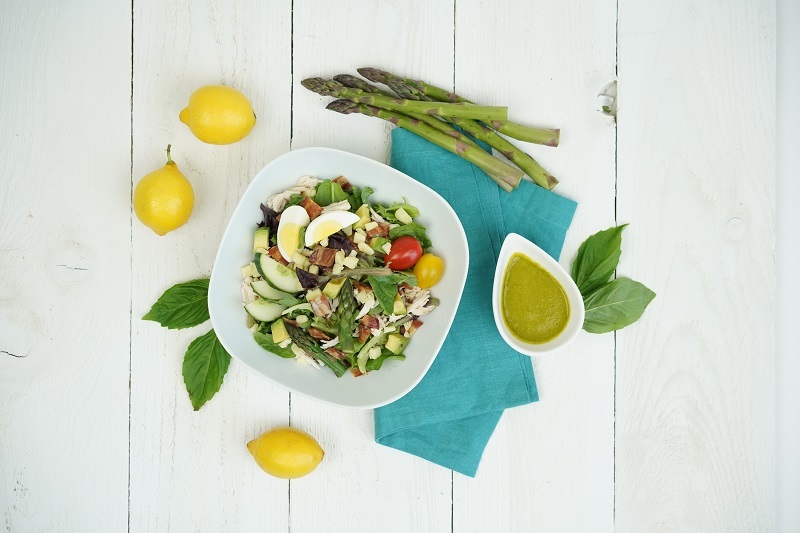 Offered on coast-to-coast and Hawaii flights, the West Coast Cobb Salad combines mixed greens, rotisserie chicken, grilled asparagus, Applewood-smoked bacon, crumbled Beecher’s Flagship cheese, fresh avocado, grape tomatoes and a bright lemon-basil vinaigrette. The guest favorite is here to stay. 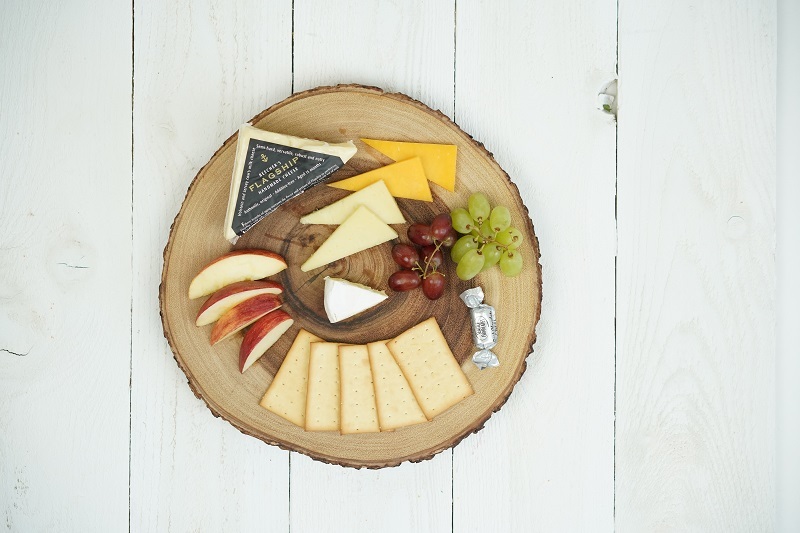 We’ll soon be adding an extra cracker to optimize the cheese-to-cracker ratio – a top request from our frequent fliers. The platter will be served between 6 a.m. and 8 p.m. on Boeing and Airbus flights over two hours, and Embraer flights over 3 hours. The recently-announced summer menu features Portland-favorite Salt & Straw ice cream, a Brie and arugula omelet, Korean-style marinated chicken and more. You can find them on the Alaska app when you pre-order your food. Nutritional information will be coming soon to alaskaair.com and to the inflight entertainment portal.